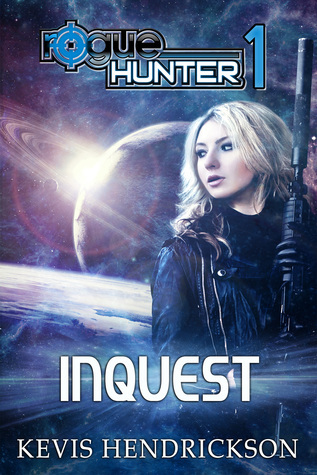 Inquest is an excellently crafted space opera and the first in a series of Rogue Hunter that I read. And truly speaking, it was way too different from what I had expected. No wonder then that it is said never judge a book by its cover!! Kevis Hendrickson's writing takes you into a world of imagery. Every description springs up a visualization along with special effects in the mind. It was as if I was watching a movie in my mind as I kept reading. The book is not just about vivid descriptions, its about a female superhero called Zyra Zanr. She has a conscience, craves to be loved and has dreams like any other woman but she is definitely not the one to be messed with. As a bounty hunter, she kills. Kevis took years to create her and undoubtedly, her character with all its flaws is extremely well-crafted. The book replicates the modern world in space. There is political drama, feminism, love turned into hatred, pain and revenge. You would love to love Zyra, love to hate Boris, empathize with Mika and sympathize with Karah. Its a perfect feature film material. There is action, drama, emotion, and a well-written story that promises a sequel. P.S- This book has prompted me to check out the next one.